Myrtleford & District Historical Society Inc. Welcome to the Myrtleford and District Historical Society's Web Page. 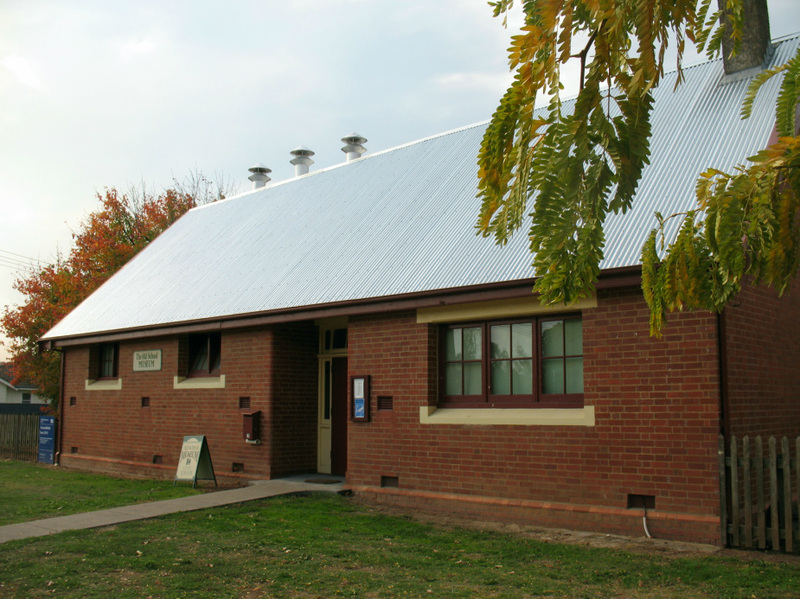 The image above is of the Old Myrtleford Primary School which now operates as the Society's Museum. This site contains the following pages, any of which can be accessed by pointing the cursor to the Tab at the top of this page entitled "Myrtleford", selecting a topic from the drop-down menus. Highlight - Sgt. A. D. Lowerson V.C.